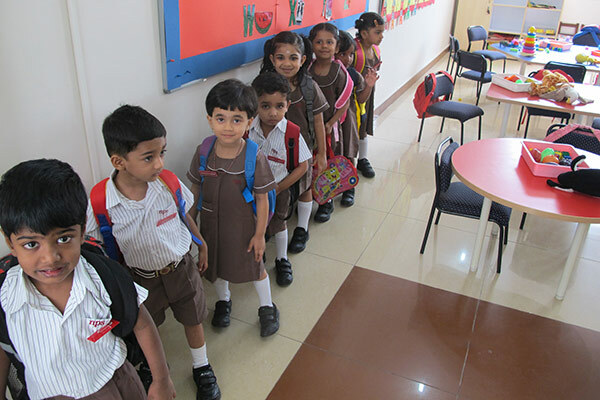 Anxiety, excitement, joy and curiosity filled the KG building as the Kindergarteners walked into the gates on their first day of formal schooling. 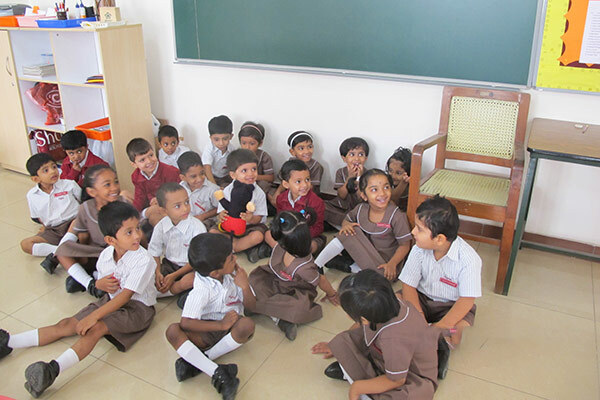 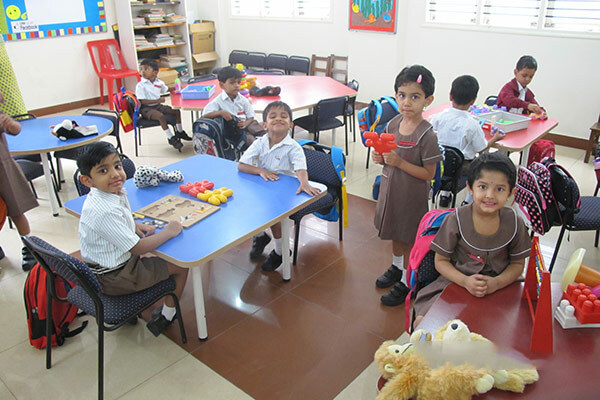 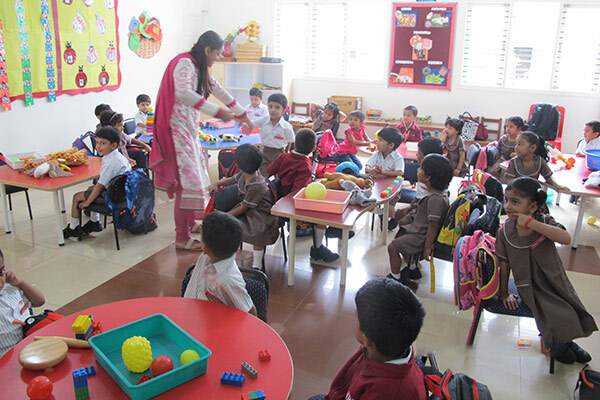 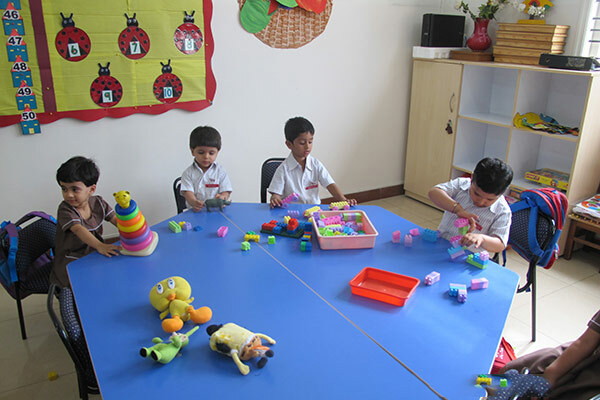 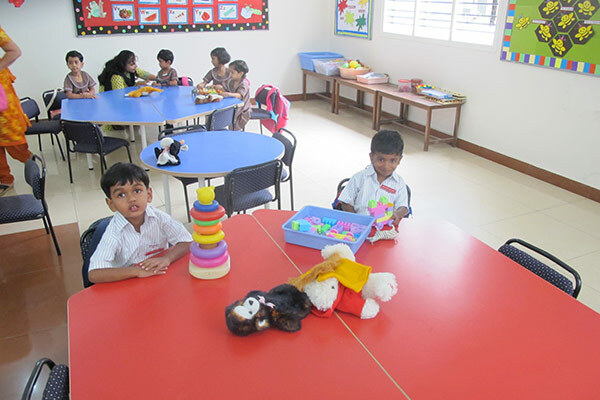 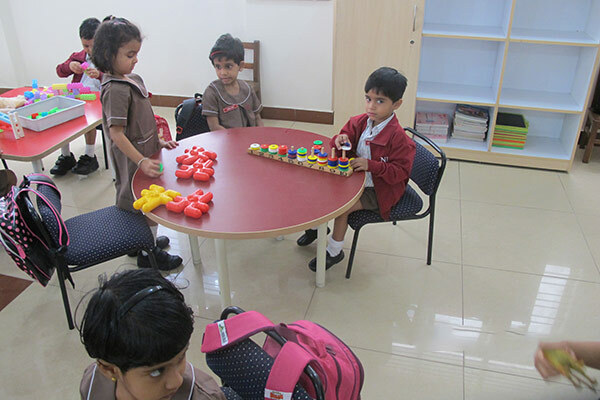 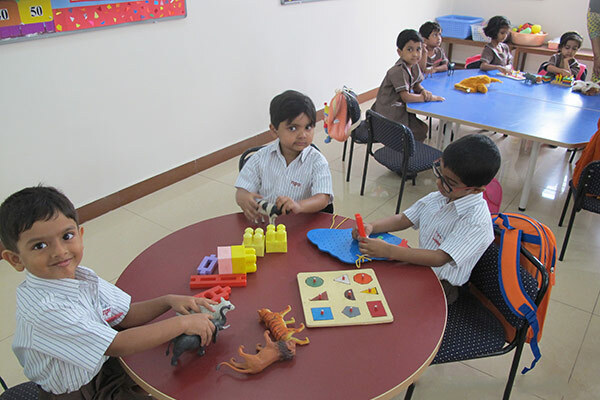 It was wonderful to hear the children start their day with a prayer and Shloka followed by playing with toys which were kept all over the class. 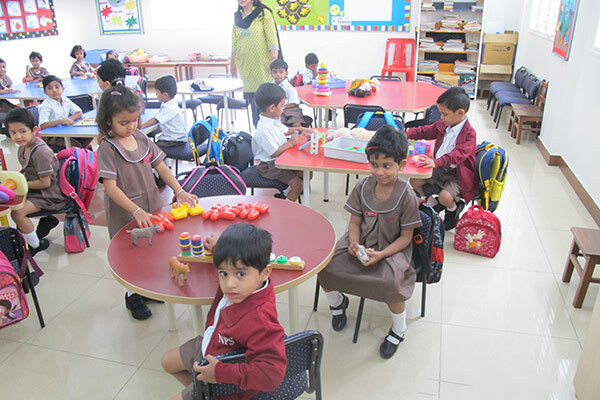 The fun continued with children swirling to music followed by a well-deserved break. 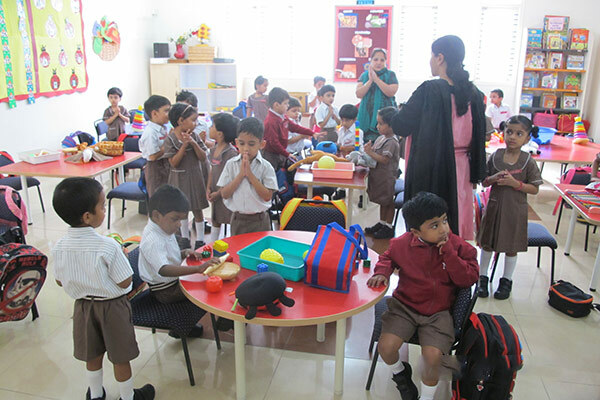 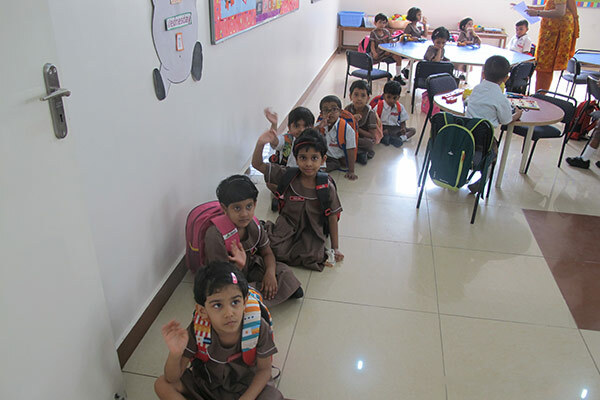 After a short outdoor play time, the little ones ended their first day of school with a prayer, eagerly waiting to see their parents to take them back home.